The DYS E-series out-runner brushless motors are designed with one thing in mind; maximising multirotor performance! Unlike many so-called multirotor motors these have been engineered specifically for multirotor use and are not based on airplane motors. 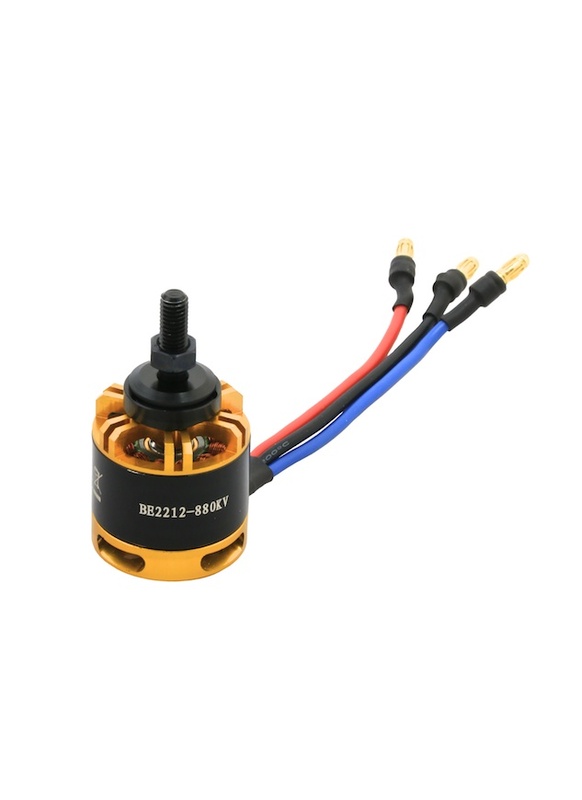 The BE2212 880KV is a versatile motor with a high thrust to weight ratio. It’s a fantastic choice for small to medium sized quadcopters and hexacopters, and is designed for use with our 10-12inch propeller range. The motor utilises quality components such as strong neodymium, high temperature magnets, a high-precision CNC machined shell, and top quality Japanese bearings. Furthermore the quality of construction matches that of the component selection; every motor is tested for concentricity and balanced for smooth running. The end result is a very smooth, powerful yet efficient, and crucially reliable brushless motor. 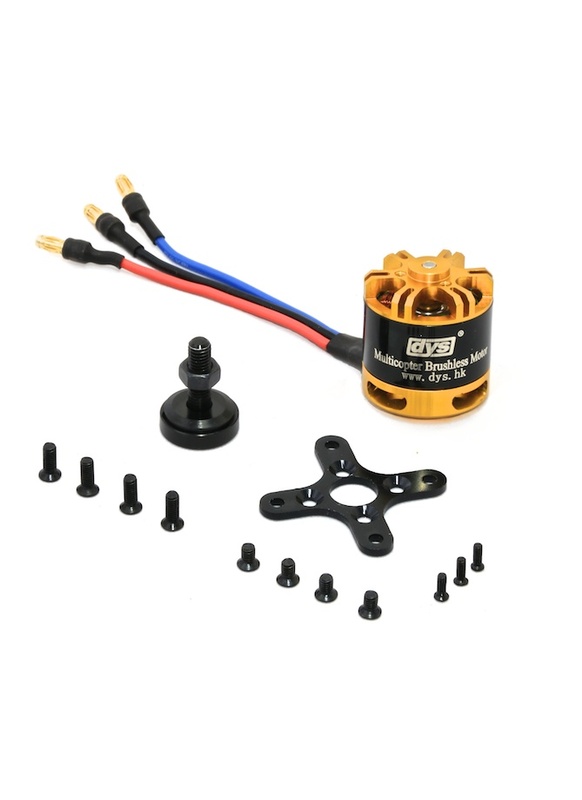 The motor comes with pre-soldered 3.5mm gold bullet connections ready to plug straight into your ESC’s. Also included is an accessory package with mount plate, bolt-on style 5mm prop adapter and set of fixing screws. are the prop adapters cw or ccw? The are normally threaded, so screw on CW. The adapters shouldn't come undone, but if you are worried you can just used locking nuts to make sure they don't.